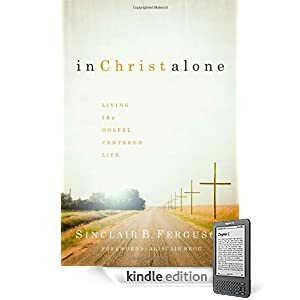 In Christ Alone by Sinclair Ferguson . . . for free! Download it here. If you don’t have an eBook reader, you can read the book by downloading the Kindle reader for Mac or PC. This entry was posted in Books and tagged Amazon, Books, Free stuff, Kindle. Bookmark the permalink.